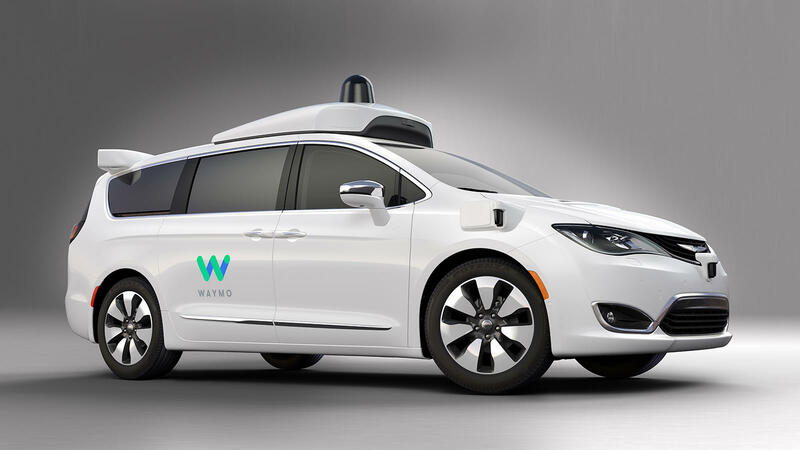 A Waymo autonomous test vehicle. Seventy-five percent of people are too afraid to ride inside a fully self-driving or autonomous car. That's according to a new survey by the insurance group, AAA. Greg Brannon is AAA's head of automotive engineering and industry relations. He says media reports about high-profile accidents involving self-driving vehicles drove those fears back up, after they'd fallen a bit in surveys conducted over the past few years. Brannon says the survey shows the need to educate people about self-driving features that are already in use, like lane departure warning; people who've experienced those features were seventy percent more likely to say they'd be willing to ride in a fully self-driving car. Brannon says AAA is focusing considerable attention on the issue of consumer acceptance of the technology because research indicates autonomous cars will save many lives in the future. "One thing we do know is that the technology does not get distracted, it does not get intoxicated, it does not fall asleep," says Brannon, listing several of the most common causes of highway accidents. Brannon says the survey does show greater acceptance of autonomous technology when used in a public transportation system such as a people mover, or slower-moving bus on an enclosed campus, for example. The survey also shows that most people mistakenly think autonomous cars will be widely available in the next decade. That's unlikely to be the case.